Looking for alternatives to Ipro Eclipse? Tons of people want eDiscovery software. What's difficult is finding out whether or not the software you choose is right for you. Logikcull's mission is to empower legal teams of all sizes & technical capabilities to efficiently organize, search, and collaborate on document collections for discovery & investigations, from anywhere. "Document management anywhere. : This tool is a modern system for all types of investigations that are currently carried out, this is based on the cloud, which allows to streamline many processes and paperwork, thanks to this you can create databases with all the necessary information, which allows access to the necessary information in moments, without having hundreds of files stored on paper, which usually lose or damage over time, here we have all the information that is needed for different cases and investigations, in a server in the cloud, the application has a very powerful automatic intelligent search, which helps to find files in less time, in addition, you can create different categories, and organize the different files, in the desired order, within the application." 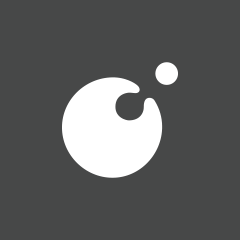 Relativity simplifies and accelerates how the world conducts e-discovery by bringing the entire process and community together in one open, flexible, and connected platform. "Powerful Document Review Software: Relativity is extremely easy to use and provides a vast array of functionality. 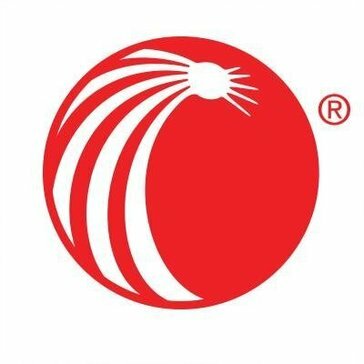 The tool can be used for the simplest of review projects by searching, coding and printing, all the way through to the most complex matters using Technology Assisted Review and advanced analytics features in order to get through vast amounts of data very quickly." Nextpoint patented, on-demand software, built – and running successfully – on cloud architecture for over a decade, automates the complex processes of eDiscovery and case preparation for modern legal teams. "Great at first, then small issues came: Doc review. I have cases with thousands of produced documents, which is nearly impossible to review and organize in a usable fashion. Nextpoint makes doc review and issue tagging extremely easy to do and to use. Also, Nextpoint is extremely receptive to feedback or requests, and are constantly evolving their software to client's wants and needs. That is hard to find!" Exterro's integrated software applications help you manage e-discovery smarter from identification to preservation to collection, analysis, review and production. "Great Product: I am in IT and support this product for our legal team. Exterro has the best support that I have ever had the pleasure of working with. We are currently moving from on Prem to the cloud and I am looking forward to this transition. If we have any technical issues support is extremely quick to respond to any question or concern any staff members have. Even if it's a very simple question, the responses are excellent! " Z-Discovery's e-discovery software is comprised of a suite of cloud-based applications that offers a state-of the art solution for managing the modern e-discovery process. "Transforming our Legal Hold Process: Easily accessible, cloud-based platform that standardized and automated issuing legal holds"
Everlaw is a litigation platform, beginning with ediscovery, by making cutting-edge technology accessible with elegant, intuitive design. "Consistently Pleased with Everlaw's Existing and Expanding Features: Everlaw does a great job of listening to user feedback and working continuously to provide a better product that remains easy to use. When I have difficulty or am unsure how to do (or sometimes undo!) something, the Everlaw support staff are always pleasant and responsive. The product has a very quick learning curve without sacrificing functionality! Everlaw makes the often-challenging task of large document review projects much more manageable and greatly cuts down on the time involved. " Ringtail delivers a visual approach to document review and predictive coding that helps legal teams quickly and defensibly master projects of any size. "Almost there, but needs work: I really enjoy the layout and the multitude of features. The software is really versatile and allows you to utilize it in a variety of ways"
With Encase eDiscovery, effectively manage electronically stored documents in litigation, arbitration, and internal or regulatory investigations significantly reduces the risk and cost associated with e-discovery. 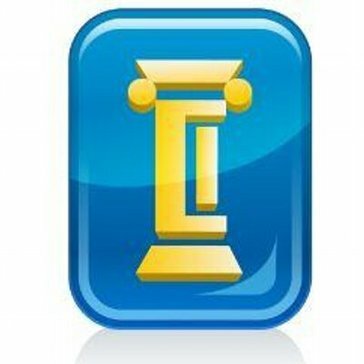 "Importance of EnCase in eDiscovery: EnCase is a very effective and robust tool in the field of eDiscovery. We can see that almost 90% of the companies(eDiscovery) have licensed versions of the tool being used in their environment. This can be possible only if the tool gives desired results in minimum amount of time. It is one among the tools whose results are court admissible and are internationally accepted. Coming to my opinion on the tool, it is very very simple to use and has almost everything required for analysis in a lot more organised manner. The Case Analyzer and EnScript is best part of it. Being a technical person I feel so happy about developing any EnScript I want for regular purpose. The case analyzer gives me a quick over view his/her activities, which in turn helps in making quick decision on deciding time factors for any project. EnCase is even able to handle almost all the encryption. The Reporting also fulfills basic reporting needs. All these resoans totally suported my decision in taking up EnCase Certification. I am really happy with the tool. Thanks to Guidance Software. These guys are amazing. " CloudNine empowers legal and business professionals with Simplified eDiscovery Automation software and professional services that simplify litigation, investigations, and audits for law firms and corporations. "Great software that is easy to log on, user-friendly, has a great layout, and is easy to navigate. : Training to use CloudNine was not lengthy. CloudNine was great at searching documents, including tagging, and exporting. Software tailored to our business needs and streamlined the task at hand. " Lexbe Rapid is available to help litigation professionals conduct early case analysis, perform eDiscovery Processing, and assist eDiscovery Review. "Finally a great way to DIY e-discovery: Being able to control my own database! I can upload my documents when I need them and don't have to wait on a vendor. Lexbe is very easy to use and is much quicker than other databases I have used. It has the exact right amount of options and not a bunch of extras I don't need. The price is great too! " Up and running in minutes, Discovery Attender streamlines the process of locating and producing data for eDiscovery requests, compliance, internal investigations and much more. Discovery Attender runs as a stand-alone application on a desktop or server. Standard functionality requires no further agents or services. Secure, find and extract data from a variety of data stores including: Office 365, MS Exchange, PST files, SharePoint, file shares, compressed files, email stored in NSF, MSG and/or EML files, and more. "Used to examine emails and files during internal investigations and external if necessary: Once you figure out the bolean scripting, it works well. And one of the nice things...though it is a little slow, you can let it zoom along over the network and it never fails. Plus, you can mark which results are really important and which are false positives." Concordance decreases the complexity of managing discovery and allows your team to search, review, organize, produce and share litigation documents generated during discovery. "Document review: I felt like the interface when using concordance was pretty user friendly. It was also easy to run searches as long as the words were picked up correctly. " Nuix eDiscovery Workstation is a scalable off-the-shelf solution for processing, investigation, analysis, review and production. 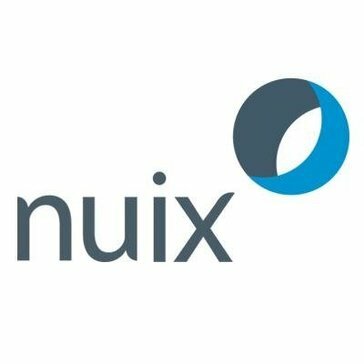 "NUIX Workstation - Simple But Complete: The straightforward interface and plethora of processing options together with the wide file format support make Nuix Workstation a reliable, and robust data processing option for e-discovery. The newer versions also enable distributed processing of large data sources. The addition of Abby OCR to the internal processing has streamlined the workflow tremendously. The use of RAM to process the data is a huge boon to performance - other products rely on fast hard drives and suffer from IO bottlenecks. The addition of the web review product would make this a very flexible product. Although we did not implement the review product yet, I look forward to reviewing it in the future." "DISCO will have you dancing in eDiscovery. : A non-intimidating user-interface that can easily be used by Attorneys and Paralegals. Also the ability to create productions "on-the-fly" with a few simple clicks, as well as instantly creating load files for very popular document review platforms. Unlike other platforms, DISCO's UI isn't clunky with a lot of information on the screen at once, that can confuse the user. The company advertises this platform as a product created by Attorneys for Attorneys. 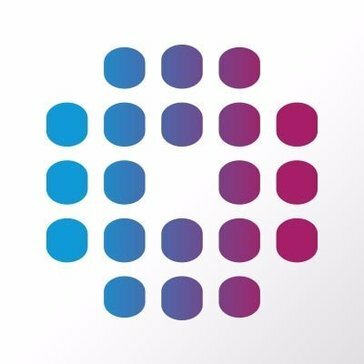 As a user of so many platforms, I think the company hit the nail right on the head with this one." Discover Viewpoint is a fully integrated e-discovery platform for law firms, corporations and service providers to manage e-discovery. "Viewpoint Processing and Review: Processing - Easy to use - Fast - Easy to navigate - maintenance scripts are well written Review - User friendly - Easy to set up - great security features"
ZyLAB ONE eDiscovery system can be hosted behind your firewall, or as a cloud-based platform, with or without other services providing rapid project turnaround. "ZyLAB One is a super end to end solution that is moving with our clients ever increasing needs : We need a solution that is intuitive and one which end users are comfortable with who can also can get up to speed on quickly. The ability to manage any investigation end to end give our client the assurance that their data is being processed once and not multiple times. Furthermore, redaction functionality is improving all the time with ZyLAB One and for SARs, FOIs and discovery this a real practical problem our clients and ZyLAB One lifts the burden dramatically. " Allegro specializes in providing secure, cloud-based legal document management solutions. "Easy to use, with lots of functionality: With Ipro Allegro, it is particularly easy to customize views, and allows you to take advantage of multiple screens. The trainings they offered were very helpful- you got a lot of information in only an hour. I feel like my document reviews will be more efficient after training. I like the option to save and conduct multiple searches on different tabs. Hope that this will cut down on need to review documents multiple times. " Planet Data's Exego technology helps firms reduce costs throughout the entire eDiscovery process. "Great experience. Great Service. Great Product. : I like the Exego Select pre-review tool, and their review platform. Planet Data's responsiveness and work product is incredible. Being a paralegal for over 20 years the fast turnaround for productions, high quality work product, and pricing by Planet Data is something I can always rely on." OpenText Axcelerate sets a new standard for eDiscovery software- a complete review and analysis platform with analytics and uprecedental ease-of-use. "Great tool for any eDiscovery job: Quick turnaround time in getting cases created. Easy to use interface with different views available depending on the way you'd like to review documents. Saved searches are easy to create. Creating workspaces is simple and an easy way for keeping track of groups of documents." 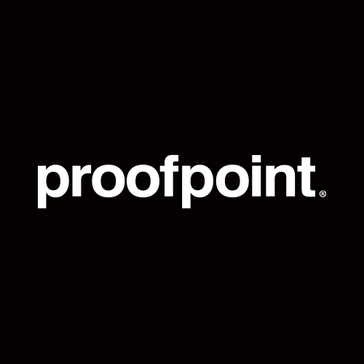 Proofpoint is a platform to capture, preserve, and deliver email, IM, documents, and social content. "ProofPoint is a Great solution for preventing spam, spoofed, & Malicious emails from the Inbox: I like the ability to easily customize every aspect of if its platform to fit your needs. This platform is the most stable I have seen as compared with others." Hi there! Would you like help finding solutions similar to Ipro Eclipse?